Hi, I’m new to FL and love shore (surf) fishing. Using shrimp is all new to me. As a former New Yorker I’m familiar with using squid, clams, crabs, worms, fish, chunks of fish, etc. shrimp is all new to me. So far I’ve only found frozen and it’s hard to keep on the hook. I’ve tried threading it through like a worm, as well as just hooking through it at various points. Is there any method anyone can recommend that may keep it a bit more secure. Is fresh shrimp better? Do bait shops sell it fresh? I guess I could try supermarkets if fresh is a better option. Also do frozen sand fleas work as a good bait? I haven’t tried them yet. If anyone can offer any tips it would be appreciated. if I am going to use frozen I go to Publix and get some fresh frozen large shrimp they have white shrimp that is reasonable by the Lb and if you don't use it all cook it and eat it. 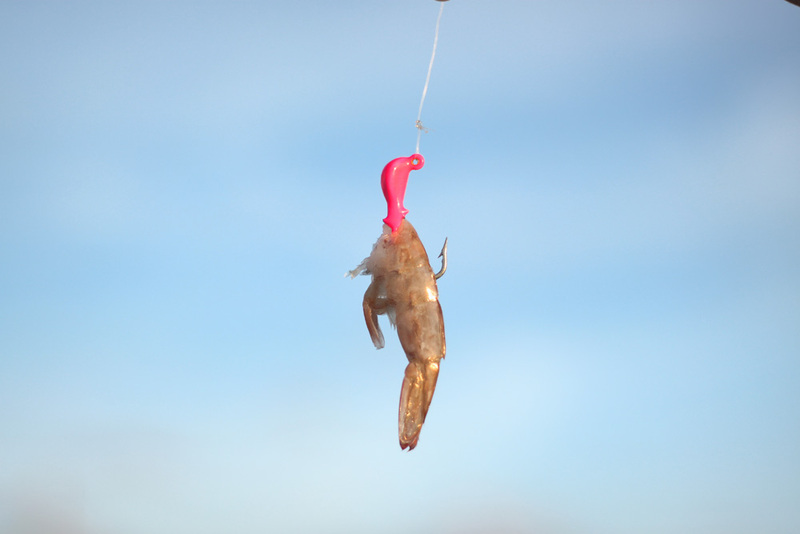 Cut the Fresh Frozen large shrimp into nice bite size chunks the meat is much tougher then the bagged bait shrimp. Sand fleas are best used Fall and Spring because many species are feeding on them but can be used all year long. The first thing to learn fishing south florida is how to get fresh bait this is vital to produce. We are lucky because we can catch alot of different bait here so its just learning where they are and how to catch them. Tightlinesny wrote: Hi, I’m new to FL and love shore (surf) fishing. Using shrimp is all new to me. As a former New Yorker I’m familiar with using squid, clams, crabs, worms, fish, chunks of fish, etc. Thanks so much for the detailed response. It’s goong to really help me out a lot. Really? Never tried their frozen shrimp. If they don't have decently sized live on hand, I'll usually pass on shrimp altogether. Never been a real fan of frozen baits period. On that note, I'd kill for them or anyone, to open up a bait shop close to Newport. Well, closer than the one in Halover anyway. I would not buy the grocery store shrimps for bait.... they are farm raised and have no smell or flavor. You want the bait shop shrimps, specially if you can get the small local B&T shop that freezes the shrimp that die off in the live shrimp tanks... they have some smelly flavor. Thanks so much for this tip. I know a lot of fishing is to try different things out for yourself but just in your opinion would this work good with buck tails, I have many of them.